괴레메, 터키의 가든 오브 카파도키아 | 호스텔월드에서 예약하세요. 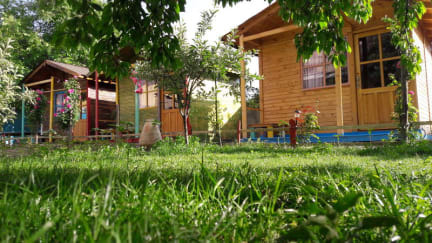 Garden of Cappadocia is set in a peaceful garden in the heart of Cappadocia it has huge garden and we offer to the guest organic vegetable and fruits from our own garden, around-the-clock front desk service and self-catering accommodation. Free WiFi is accessible in public areas and in the rooms. You can prepare your meals in the privacy of your own kitchen with a fridge, cooking utensils and an electric kettle. Barbecue facilities are available. There are numerous dining options in the surrounding area. The staff assists with car , bike rentals,hot air balloon flight,the tours and airport shuttle with the best price guarantee! The property is 500 meters from Uchisar Castle 300 mt. from pigeon valley and Goreme Ope Air Museum is within 1 km of the property. Airport shuttle services to Nevsehir Airport, 38 km, Kayseri Airport 70 km away are arranged at an additional fee. 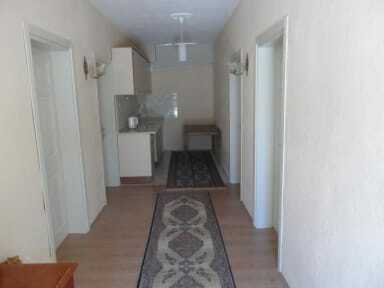 The units at Garden of Cappadocia feature heating, parquet floors and a wardrobe. Ironing facilities are provided. The private bathrooms come with a shower, hairdryer and free toiletries.